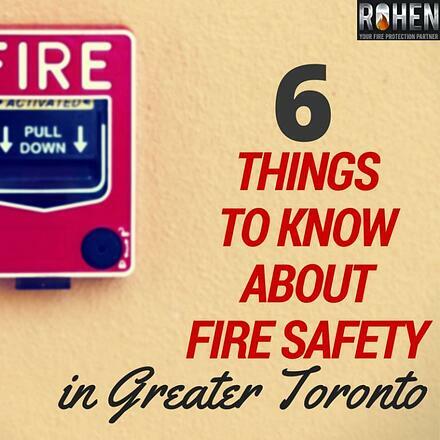 Here's our quick-and-dirty round-up of the six things you most need to know for fire safety in 2015. 1) Prosecutions and fines for fire safety violations are on the upswing. Have you noticed an increasing number of business and property owners being fined for fire safety violations? It’s not just your imagination. Municipal fire authorities have been quoted on record (for example, in this Barrie Examiner article) referring to a push for “zero tolerance” for fire safety noncompliance coming from the Ontario Fire Marshal's office. This push aims to improve fire safety by using legal channels to send a message. 2) New carbon monoxide detector requirement. As of October, 2014, carbon monoxide detectors are mandatory in an estimated 98% of Ontario homes. Carbon monoxide kills an average of 11 people per year in Ontario, and is undetectable without a CO detection device (being colourless, odourless and tasteless). The only residences exempt from the requirement to have CO detectors near all sleeping areas are the 2% of homes that are 100% electric and do not have an attached garage. 100% electric means no furnaces, stoves, fireplaces or other fuel-burning appliance. Penalties for non-compliance with the CO detector requirement are the same as those for failing to have a working smoke detector. Inspectors can issue tickets or lay charges resulting in fines of up to $50,000 for individuals and $100,000 for companies. Random inspections for compliance with both CO and smoke detector requirements are always possible and a certain number occur each year. 3) Smoke detectors are required outside of all sleeping areas and on every storey of the building. Ontario law requires working smoke alarms on every storey of a home and outside all sleeping areas. Not having working smoke alarms can result in fines up to $50,000 for individuals and $100,000 for corporations. Often an additional victim fine surcharge is applied, in addition to court costs. That doesn’t include the costs of bringing a building up to code. If unable to do so, owners risk having their businesses shut down, and/or accruing additional daily fines of as much as $20,000. In the worst cases, offenders are subject to incarceration periods of 20 days to 3 years. Where injury or death occurs, criminal charges can be applied. (Read more about the Rising Business Costs of Fire in the GTA). Who is responsible? The owner. It is up to the owner to supply and maintain a working smoke alarm, as well as a manufacturer’s instruction manual for the alarm. 4) Tenants can be charged for tampering with smoke detectors. With this change, Ontario recognizes that tenants share some responsibility for maintaining their smoke detector and their own safety. 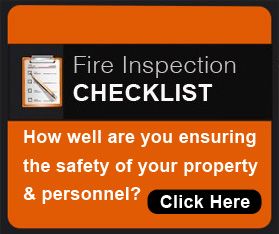 Both parties (tenants and owners) have a vested interest in preventing fires in rented units. This is especially significant for landlords who experience difficulty getting access to rented property to maintain smoke detectors. However, this should not be interpreted to lessen owner responsibility and liability. 5) Fire sprinkler requirement in nursing homes. Read more about the fire sprinkler requirement here. 6) Statistics on smoke alarms in residential fires in Ontario. Smoke alarms only operated in 44% of home loss fires between 2009 and 2013. For 18% of home loss fires, there was no smoke alarm present. For another 15% of home fires, the smoke alarm did not operate. In fatal residential fires where the smoke alarm did not operate, in 30% of the cases it was because no battery was present, and in 14% of the cases it was because the battery was dead. 48% of Canadians feel they have almost no chance being in a house fire. On the other hand, 1 in 10 Canadians actually does experience a fire in their home. 64% of Canadians claim to have an escape plan, but 63% haven’t practised it in the last year. 19% of Canadians have never replaced their batteries in their smoke alarm. If you own or manage residential property in Ontario, does your fire safety plan take these trends into account? Are you on top of these six fire safety trends for 2015? If not, there's no time like the present.